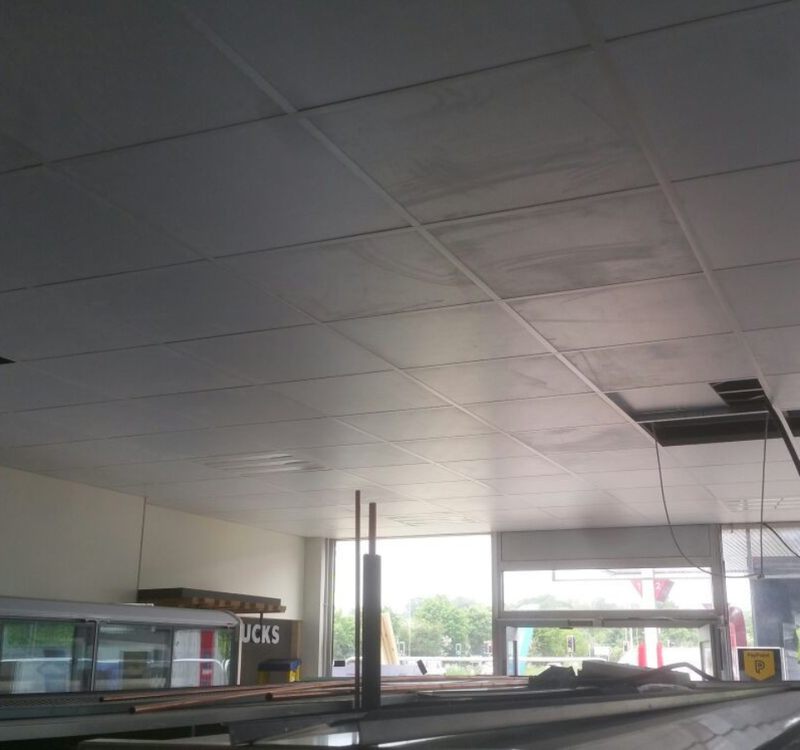 Our fitters have recently finished a job at another petrol station forecourt in Uxbridge. 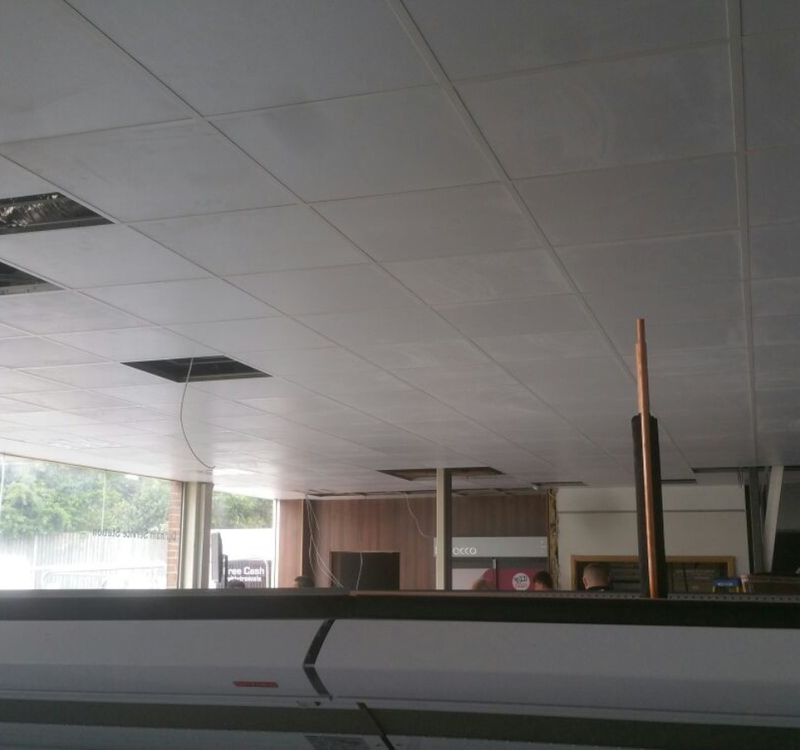 The area was being renovated and needed a lot of unsightly cables and wiring covering up. 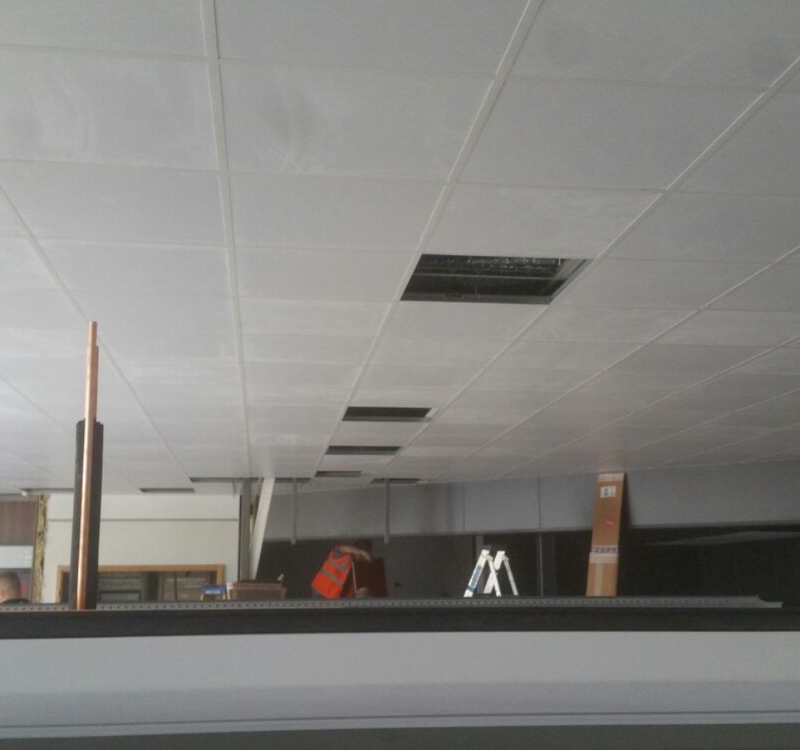 The customer wanted a hard wearing, clean looking ceiling tile for the indoor shopping area. 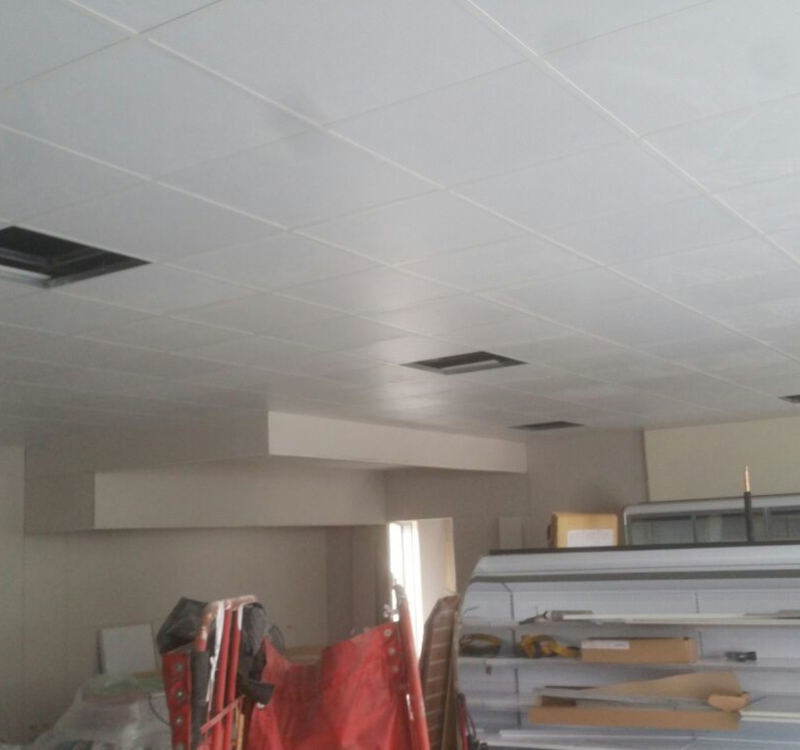 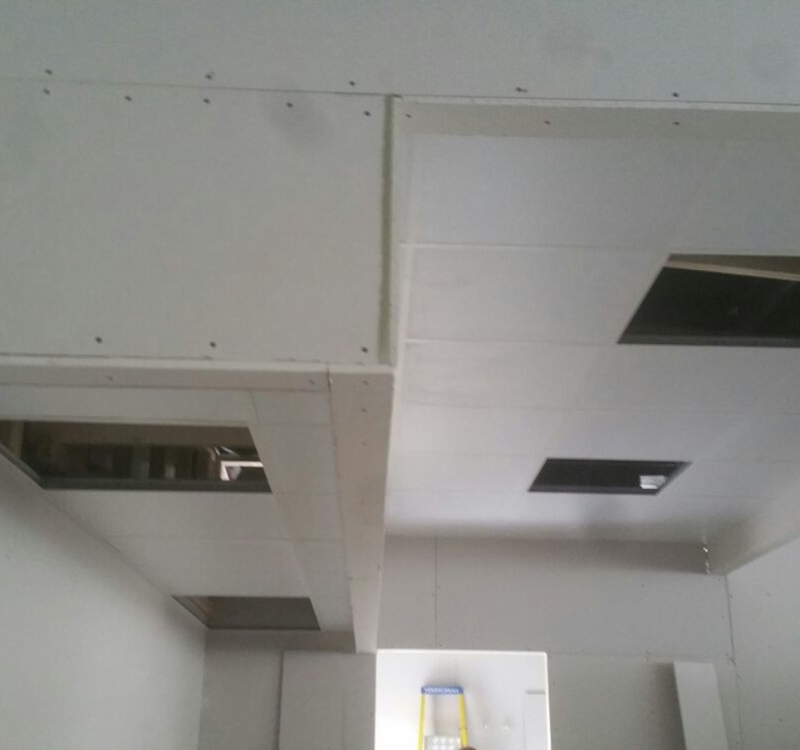 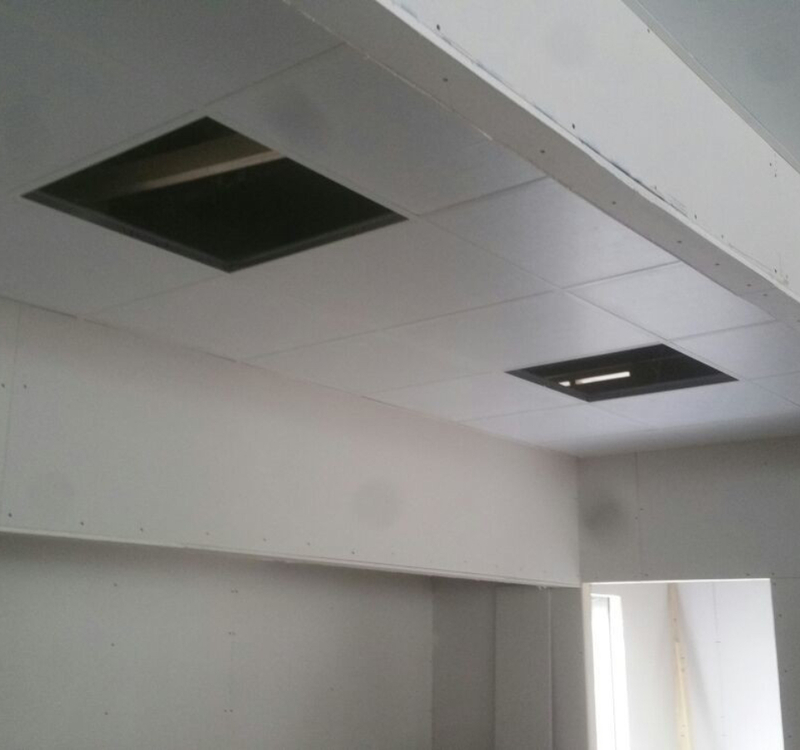 We installed a white grid and a smooth, wipeable vinyl faced ceiling tile.